The Highland Body Shop also has a automobile mechanical repair shop. We are an expert in handling any type of automotive mechanical repair services to ensure that you get back on the road as fast as possible. Our technician is professionally trained, tested and ASE certified, providing a full complement of mechanical repair services. With many years of experience in the motor industry, you can be confident that your vehicle is in the right hands. We have a large number of accredited suppliers that supply the parts we need to get the job completed without down time. Our certified technician will ensure that your vehicle gets the full service and attention it deserves during repairs, whether the job is big or small. We have built a considerable reputation for excellence in mechanical repair services, latest trend technology and premium quality spare parts; ensuring system integrity of your vehicle is upheld. All work is completed at our fully equipped mechanical repair service shop for your convenience. We have no doubts that the secret of our longevity lies in our traditional emphasis on quality workmanship, value for money and our belief that the customer is our most important asset. In fact, we never forget that we are here to provide the best customer experience to all our customers. Our test equipment can ensure you your vehicle is functioning to its best potential and alert you when there is an impending failure. 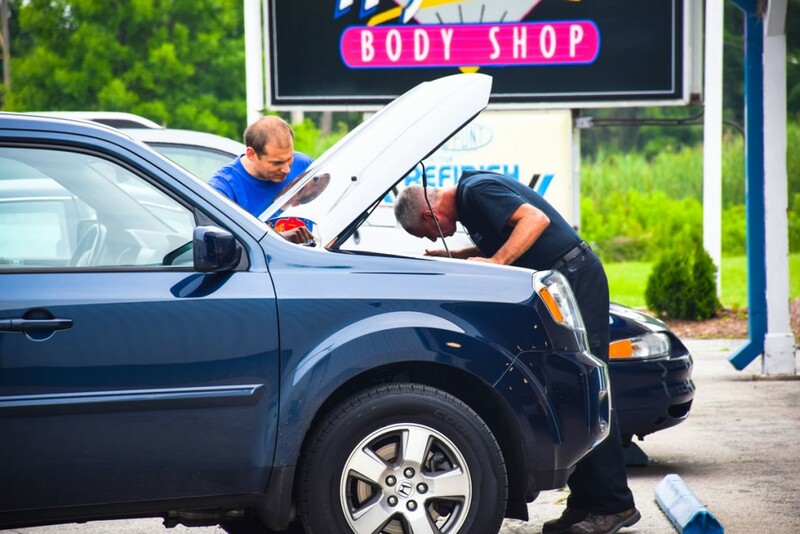 We are ideally located for you to leave your vehicle with us anytime and have it repaired or serviced on the same day. Usually, our experienced professionals offer a warranty approved mechanical repair services so that you reduce your servicing cost without compromising your vehicle’s manufacturer warranty. We use original spare parts and lubricants to ensure full compliance with the warranty of the manufacturer: your car warranty remains protected with us. Print and return this coupon to receive 10% off your insurance deductible when you choose Highland Body Shop for your auto repair needs.